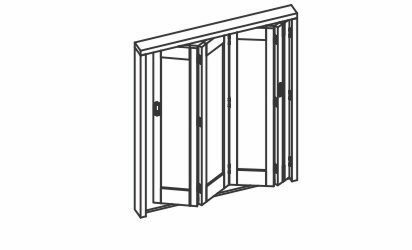 Centrefold 75 is designed for interior folding shutters and doors in residential and light commercial applications. Capable of 75kg panels with a maximum of eight panels folding each way. The first panel is a half-panel hinged to the jamb using three non-morticed hinges, and the remaining panels are full-sized. Panels are hung centrally under the lintel, and can fold to either one or both sides of the opening, ideal when space is a commodity. 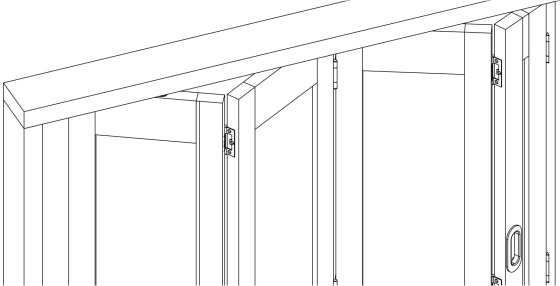 A bottom floor channel is required across the opening when using three or more full panels. Guides are fitted to the lower edge of the door directly beneath each hanger.